Hello, and welcome to my website. I’m an Associate Professor in the Psychology Department at New Mexico State University. 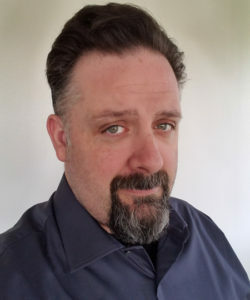 I am the director of the Vision Sciences and Memory Laboratory in the Psychology Department, and co-director (alongside Phil Post) of the multi-disciplinary Addison Care Virtual and Augmented Reality Laboratory. My research interests fall under the broad heading of visual cognition, including research into visual attention and memory, and computational models of both. My other research interests include (but are not limited to): development of alternative methods for multidimensional scaling, similarity as a psychological construct, working memory, and spoken word perception. My primary work focuses on memory and attention, with an emphasis on human visual processing. In my research, I employ converging techniques; specifically, I combine standard behavioral measurements (e.g., reaction time, similarity ratings) with more sensitive experimental techniques (e.g., eyetracking, tDCS), physiological indexes (e.g., pupillometry, heart rate), advanced statistical procedures (e.g., multidimensional scaling), virtual reality, and computational modeling. My immediate goals involve conducting theory-driven experiments that investigate decision-making in visual search, with the long-term aim of establishing computational models of the underlying cognitive processes. This theoretical aim is coupled with more applied goals, in particular learning how to alleviate problems that plague professional visual searchers, such as medical and security screeners, and search and rescue personnel. 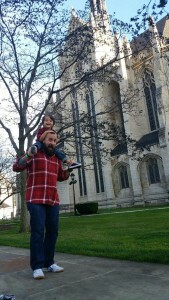 As a professor, I balance my time between research, teaching, and service. In my labs, we have a state of the art eye-tracker, several banks of testing computers, and the resources to collect data from undergraduates at NMSU and from members of the public. We also employ touch screen monitors, virtual reality headsets, mobile eye-tracking, and transcranial direct current stimuliation. I currently have six graduate students working under my mentorship (see below for current lab members and the alumni tab for previous lab members). My research is highly collaborative; I have collaborations within NMSU (both inside and outside of the Psychology department), in institutions around the US (e.g., Harvard Medical School, Arizona State University, Louisiana State University) and several abroad (e.g., the University of Southampton, the University of Sussex). I regularly publish my work in peer-reviewed journals. My regular teaching load is divided across undergraduate and graduate classes, and includes courses such as quantitative methods in psychology, research methods, memory, cognition, sensation and perception, history and systems, and others. I am also the Associate Director of the College of Art’s and Sciences Discovery Scholars Program. I regularly provide service to the scientific community. I am a journal reviewer for a great many different scientific peer-reviewed outlets, a Consulting Editor for the Journal of Experimental Psychology: Human Perception & Performance, and an Associate Editor at Attention, Perception & Psychophysics. I contribute to popular science magazines (e.g., Scientific American), I was twice a co-organizer for an international psychology conference (the Object Perception, Attention and Memory meeting), and I make a concerted effort to share my work with other researchers. This involves the creation of databases that can be used in experimental psychology, and the sharing of many of my software programs. If you are interested in collaborative research, or in becoming a graduate student or research assistant in my lab, please feel free to contact me via email: mhout@nmsu.edu. Michael C. Hout (Lab Director): I attended the University of Pittsburgh for my undergraduate degree, in my hometown of Pittsburgh, PA. There, I received a BS in Psychology, with a minor in Neuroscience. In 2006 I moved to Tempe, AZ to attend Arizona State University, where I received my MA and PhD in Psychology, working under Dr. Stephen Goldinger. Currently, the majority of my time is spent happily working toward various academic endeavors, as you might have guessed. However, when not dedicating my time to academics, I remain very active and have a wide range of interests. I spend a lot of time with my son, Joel. I’ve played ice and roller hockey since I was 8 years old, including four years for the University of Pittsburgh, and two seasons for the Phoenix Dragons in the American Inline Hockey League (AIHL). Now, I play just recreational roller hockey. Aside from hockey, I enjoy running, and have completed several charity runs (several 10K races, three half-marathons, and some shorter runs). I enjoy spending time with my hounds, cycling, hiking, swimming, and skating. I also spend a great deal of time reading or playing chess, and I enjoy traveling. And most recently, I purchased a motorcycle, which I enjoy riding around town and taking to bike rallies. 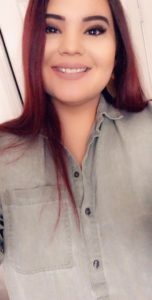 Jessica Madrid (PhD student): Jessica graduated with her bachelor’s degree in Psychology from New Mexico State University in 2013 and joined the graduate program soon after. Her research interests fall in the area of visual perception, focusing on perceptual learning, visual search, and the interaction of perception and memory. In her free time, Jessica enjoys playing volleyball, painting, cooking, and reading. Jessica received her master’s degree in my lab in the fall of 2016, and is now working on her PhD. Edin Sabic (PhD student): Edin graduated with a bachelor’s degree in German and Psychology from the University of Iowa in 2014. 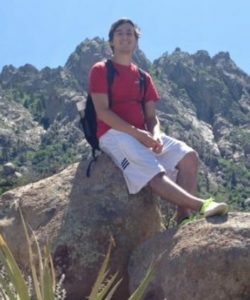 After graduation, Edin worked as a research intern at the University of Iowa, and shortly after joined the graduate program in Psychology here at NMSU. He received his MA from NMSU in the summer of 2017, and is currently a PhD student. Outside of work, Edin enjoys playing soccer, hiking, and painting. His research interests lie in human-computer interaction, user experience, and the use of eye tracking for better interface design. 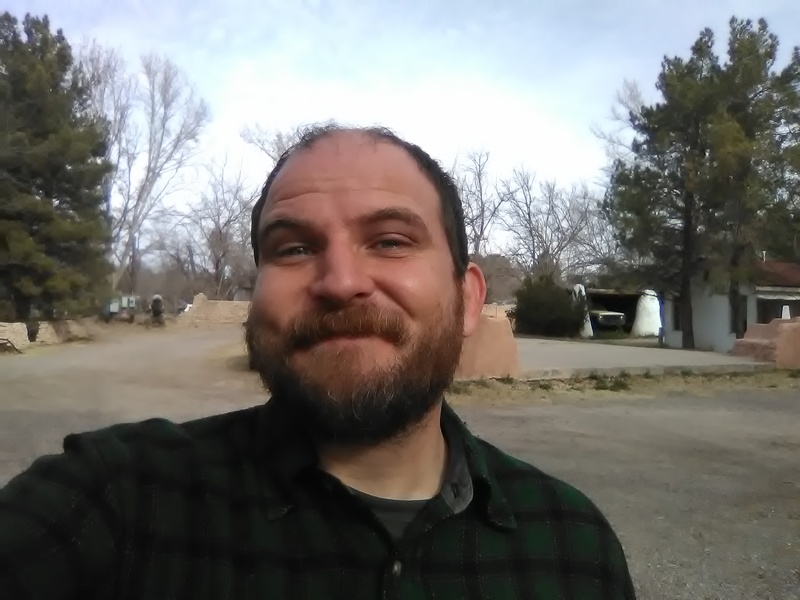 Bryan White (PhD student): Bryan graduated from the University of New Mexico in 2014 with a double degree in Psychology/English, and received his MA from New Mexico State University in 2018. He is now pursuing a PhD in experimental psychology. His research interests lie in the theoretical and applied aspects of cognition, primarily those consisting of visual perception and attention in real, augmented, and virtual circumstances. In his rare free time he likes to read and write, play games of all kinds, and make things with his hands. On occasion, he also delights in collecting odd (and sometimes strange) skills and experiences. 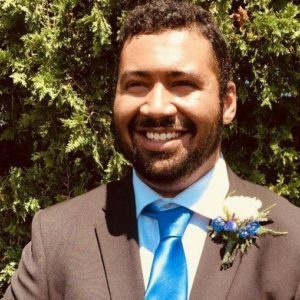 Dre Good (PhD student): Dre graduated with his bachelor’s degree in psychology from Franklin Pierce University in 2015 and joined the graduate program at Boston University to receive his MA in 2016. 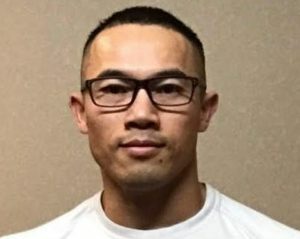 He joined the graduate department at New Mexico State University in 2018 to pursue a PhD. His research interests are working and transactional memory, attention in virtual environments, and perception. In free time, he enjoys gaming, reading and writing, and travel. 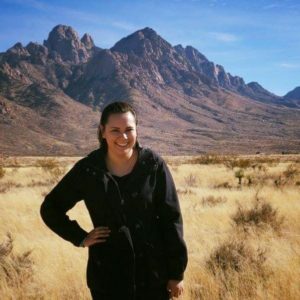 Rebecca Penn (Masters student): Rebecca is returning to graduate school after having worked the last several years as a licensed master’s level and now clinical social worker in Albuquerque. She will pursue research in spatial cognition, disorientation, and visual search with particular interest in potential application for search and rescue operations. 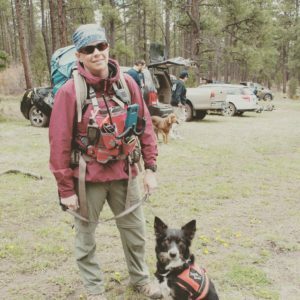 Rebecca became a volunteer wilderness Search and Rescue responder in 2013 upon joining the wilderness K9 SAR team Sandia Search Dogs. In her spare time she enjoys hiking with her search dog in training, getting lost in the woods, as well as reading and traveling to new places. Hailey Sandin (Masters student): Hailey graduated from Pacific Lutheran University in 2014 with her bachelor’s degree in Psychology and a minor in religious studies. Her undergraduate research primarily focused on how stress and motivation impact decision making. After graduating, she moved from Washington State to North Carolina and then Virginia. Hailey worked with children with ASD as an ABA therapist for three years. In 2017, Hailey began the experimental psychology master’s program at NMSU and intends to earn her PhD in the future. Her research interests lie in visual search in real world scenes and decision making. In her free time Hailey enjoys hand lettering, painting, yoga, reading, and traveling. Asia La Torra (Student Assistant to the Discovery Scholars Program): Asia was born and raised in Las Cruces, NM where she attended Centennial High School and was a member of the marching band. She is currently an undergraduate student studying psychology and a member of Psi Chi, the International Psychology Honors Society. In her free time she enjoys playing with her dogs, hiking, and painting. 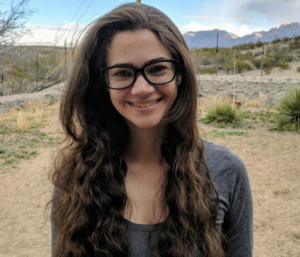 Kitt Phi (Discovery Scholars Researcher, and work-study programmer for Addison Care Virtual and Augmented Reality Lab): Kitt is a senior at NMSU majoring in Computer Science with a focus on Augmented Reality/Virtual Reality (AR/VR) and Artificial Intelligence. His passion is to develop training simulations in an AR/VR environments for students and professionals. These simulations will be designed to assist and improve a persons’ working knowledge and experience in their field. Kitt is currently undertaking his own research project as part of the Discovery Scholars Program, and he is also a paid programmer, helping to create virtual environments for new VR laboratory. 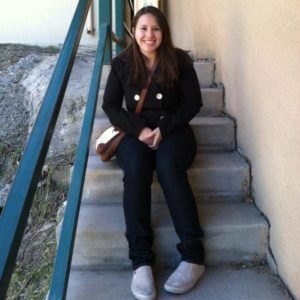 Christine Dellefield-Lopez (Discovery Scholars Researcher): Christine is originally from Belen, New Mexico. 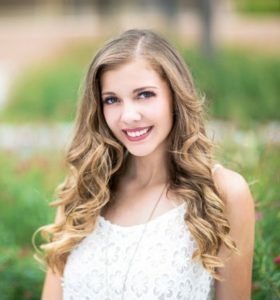 She has been in Zeta Tau Alpha sorority for the past two years at New Mexico State, where she fundraises and advocates for breast cancer education and awareness. For her DSP project, she is working on the behavior patterns of individuals in “clue finding” for search and rescue. Continuing her career, she plans on attending a PhD program for industrial organizational psychology or clinical psychology. Her overall goal throughout her career path is to help in the advancements of various techniques to improve mental health. Some activities she loves to do for fun are traveling and attending concerts/festivals. Sydney Luna (Discovery Scholars Researcher): Sydney was born and raised right here in Las Cruces, New Mexico. She will be graduating this May with her Bachelor’s of Arts in Psychology. Not only is she a full time student but a full time wife and mother. She is also the current secretary for The International Honors Society in Psychology, where she does volunteer work. Currently, she is testing memorization skills in participants taking part in search and rescue tasks. After she graduates, she plans to attend either a school or family/marriage psychology PhD program. Her main goal is to work with at-risk youths as well as military personnel. During her spare time she enjoys hanging out with her family, traveling, and reading. Rene Mcpherson (Discovery Scholars Researcher): Rene Mcpherson is from Los Angeles, California. After high school, he served in the Army for eight years. In 2017, he transferred to New Mexico State University from Los Angeles City College. 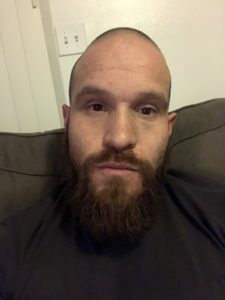 He is currently an undergraduate student majoring in Psychology, and he is planning on going to graduate school for human computer interaction or cognitive psychology. He is working with Dr. Hout and Hailey Sandin on developing a database of complex visual stimuli. In his free time, he likes to lift weights, read fantasy novels, and spend time with his family. 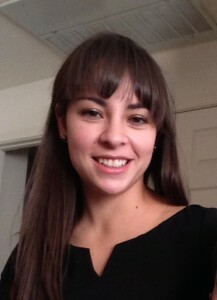 Victoria Arvizu (Discovery Scholars Researcher): Victoria was born and raised here in Las Cruces, NM. She is currently an undergraduate student working on a bachelor’s in Psychology and Government with a minor in National Security. She also works in Dr. Hout’s research lab, helping with various studies. She plans to go to graduate school for applied behavioral psychology or cognitive psychology and eventually receive a PhD. Her ideal career would be working in the national intelligence community. She enjoys spending time with animals, reading, and watching movies in her free time. John DesGeorges (Discovery Scholars Researcher): John is a Senior at NMSU, set to complete his Bachelor’s degree in Psychology in the Spring of 2019. John has conducted research relating to cognitive priming and the internet, and hopes to expand upon the initial findings through further investigation. He hopes to continue his education by attending graduate school. Outside of school and work, John enjoys spending his time with his son Errol, with their favorite activities including trips to the park and playing board games.